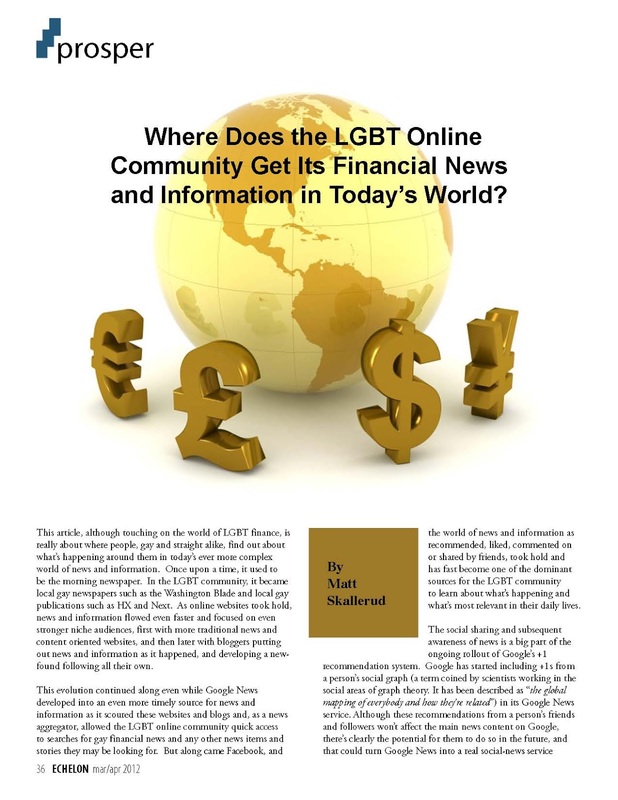 This article, although touching on the world of LGBT finance, is really about where people, gay and straight alike, find out about what’s happening around them in today’s ever more complex world of news and information. Once upon a time, it used to be the morning newspaper. 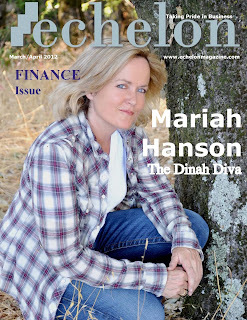 In the LGBT community, it became local gay newspapers such as the Washington Blade and local gay publications such as HX and Next. 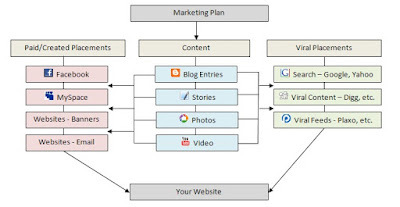 As online websites took hold, news and information flowed even faster and focused on even stronger niche audiences, first with more traditional news and content oriented websites, and then later with bloggers putting out news and information as it happened, and developing a new-found following all their own. 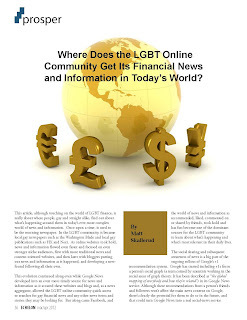 This evolution continued along even while Google News developed into an even more timely source for news and information as it scoured these websites and blogs and, as a news aggregator, allowed the LGBT online community quick access to searches for gay financial news and any other news items and stories they may be looking for. But along came Facebook, and the world of news and information as recommended, liked, commented on or shared by friends, took hold and has fast become one of the dominant sources for the LGBT community to learn about what’s happening and what’s most relevant in their daily lives. The social sharing and subsequent awareness of news is a big part of the ongoing rollout of Google’s +1 recommendation system. Google has started including +1s from a person’s social graph (a term coined by scientists working in the social areas of graph theory. It has been described as "the global mapping of everybody and how they're related") in its Google News service. Although these recommendations from a person’s friends and followers won’t affect the main news content on Google, there’s clearly the potential for them to do so in the future, and that could turn Google News into a real social-news service instead of a simple aggregator. But has Google lost the social news market to Twitter and Facebook, or could the integration of recommendations with the Google+ network allow it to catch up and become a strong competitor? For now, the +1 recommendations will only appear occasionally in the Spotlight section of Google News. But just as +1 counts have started showing up in Google’s main search results, it seems likely they will work their way into Google News as well. In a very real sense, the +1 is becoming Google’s equivalent of the “like” or “share” buttons on Facebook and of the retweet function on Twitter, and combining that function with news headlines could be a powerful source of recommendations if Google rolls it out for the rest of Google News. Yahoo News, the largest aggregator in the news market, has bowed to the power of Facebook as a social-recommendation engine. The company recently connected its service to the social network as part of the rollout of Facebook’s “frictionless sharing” — although it didn’t create an app the way some other providers such as the Washington Post and The Guardian did, but instead integrated Facebook sharing into its existing site. According to some reports, Yahoo has seen a dramatic increase in both sharing and traffic to its news stories, and other mainstream media outlets have reported similar results. Facebook may have become the default social-news engine for the outlets that are connecting to it and creating sharing apps, but Twitter is still a powerful driver of traffic for many news sites, and arguably offers even more of a streamlined news experience than Facebook does because of the nature of the network. When it comes to short, real-time news items about events such as the Occupy Wall Street movement, Twitter excels — especially when combined with tools such as Storify and other ways of aggregating or curating the news and providing more context. In many ways, Twitter has become a real-time newswire.